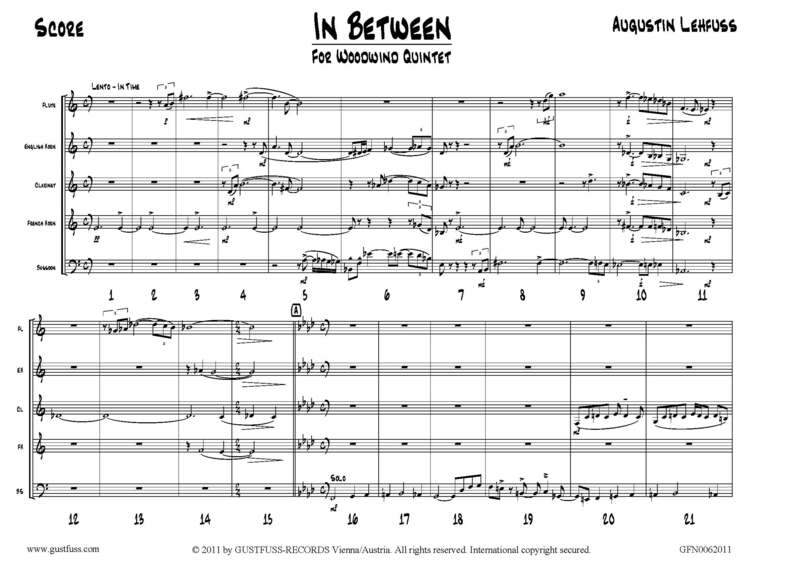 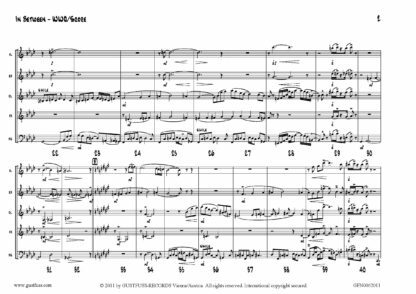 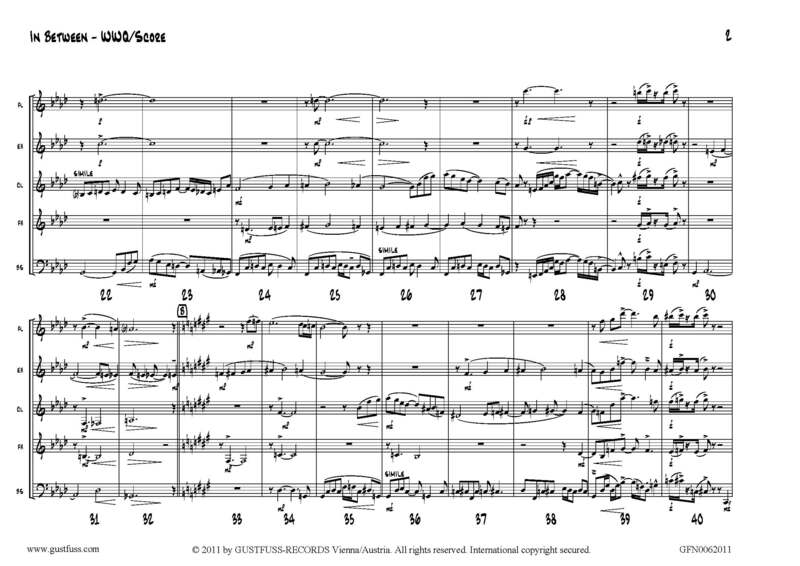 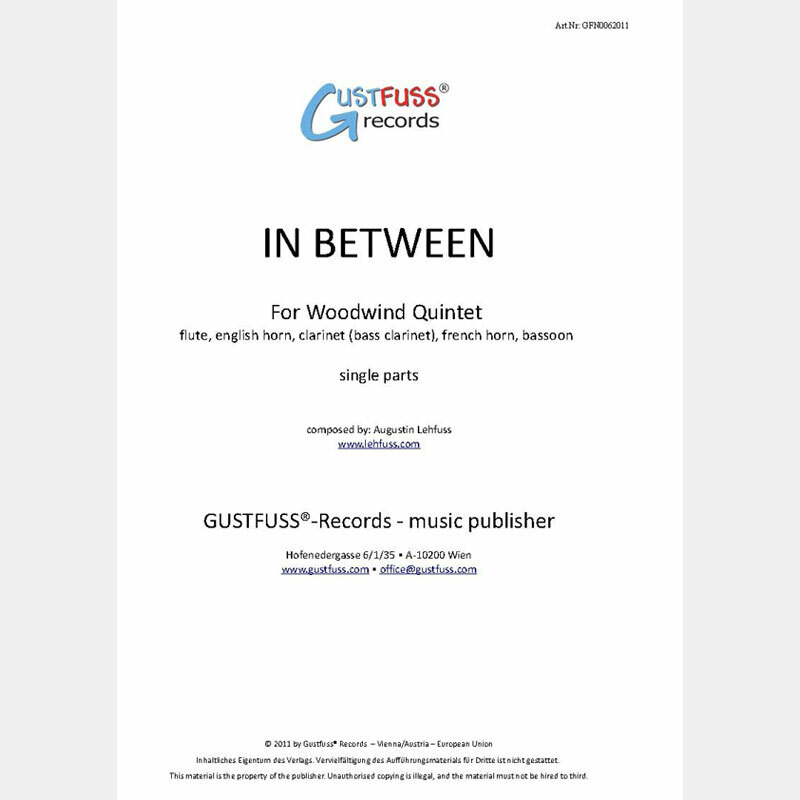 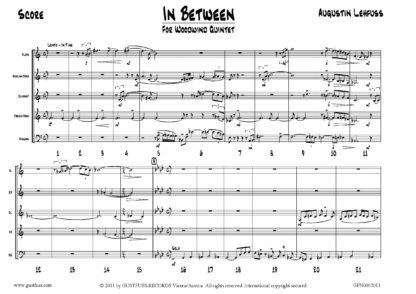 A slow jazzy ballad for woodwind quintet, composed by Austrian composer Augustin for the “Woodwind Qintet of the Staatskapelle Berlin”. 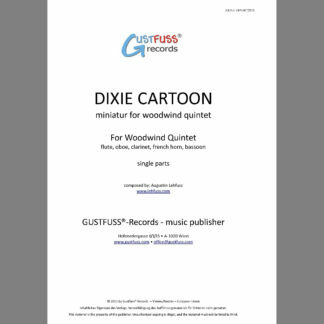 The sheets you get are exactly the material this famous ensemble used for the recording on their CD “Jazzy Woodwinds”, which was released by Castigo Records and is also avsailable in our shop. 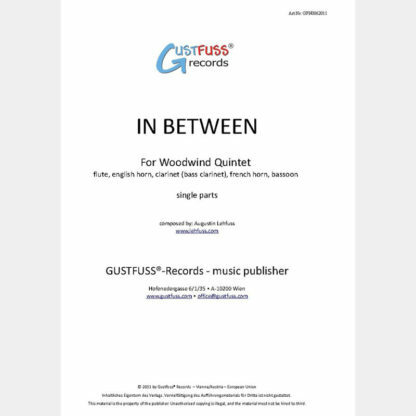 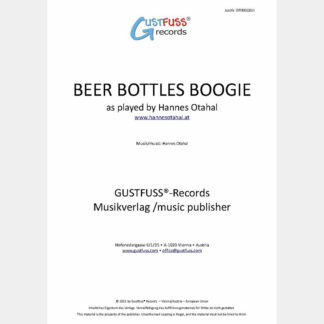 For the composer mainly works as a jazz arranger, this work ist strongly influenced by jazz chords and rhythms, but due to the composer’s education you will also find influences of classical forms.